Using the DryErase Board Washable Markers Set kids can draw, doodle, erase and draw again without the annoyance of difficult cleanup. 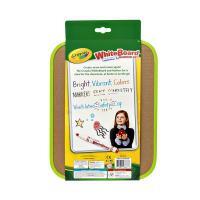 This set features 8 vibrant, low-odour washable DryErase Markers and DryErase Board for kids to show their creativity and practice writing on. 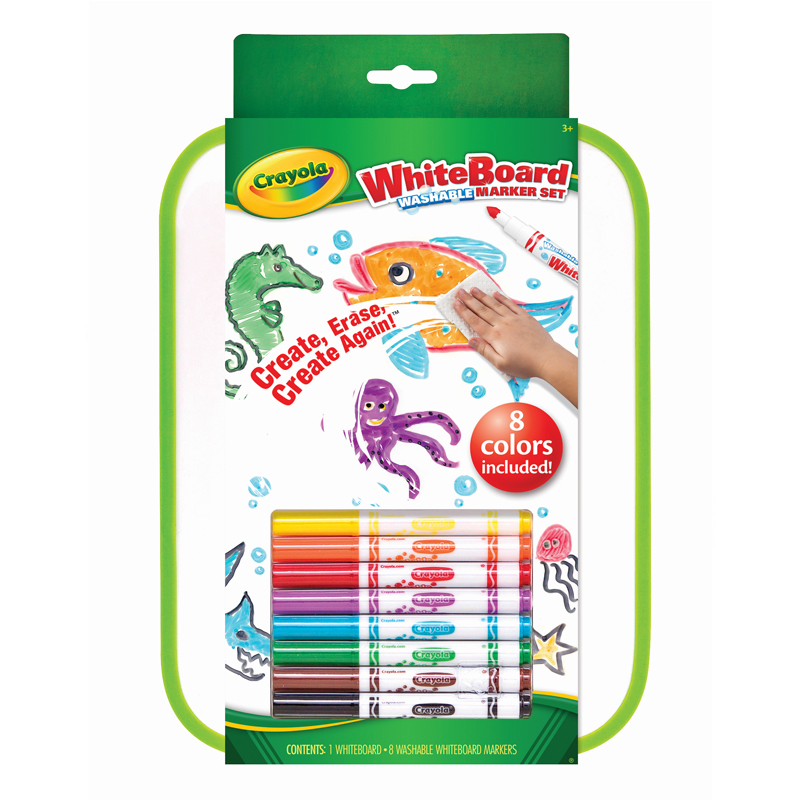 The brightly hued, bullet tip point DryErase Markers are made with Crayola's washable ink and is specially formulated to wash off machine washable clothing. It also washes off walls, carpet and furniture with warm water and a sponge because not everything your child makes is a keeper! 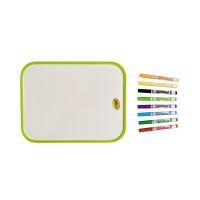 Includes Black, Brown, Blue, Green, Yellow, Orange, Purple and Red colors.